As of January 1, 2017, California has a new law (The Revised Fiduciary Access to Digital Assets Act) that allows executors and trustees to gain disclosure of a person’s digital assets after the original user’s death under certain conditions. This is a good thing because, until now, federal and state law on digital access for executors and trustees made it difficult for executors and trustees to get such disclosure without a court order. Twenty other states have passed similar legislation but, of course, as is often the case, California’s version is slightly different than the model legislation it is based on. Attempts to pass state laws to make such disclosure easier (in California and in other states as well) ran into difficulties as laws drafted by lawyers (who wanted to make it easy for executors and trustees to gain access to digital assets simply by virtue of the fact that they were executors or trustees) ran into opposition from privacy advocates (like the ACLU) and service providers/tech companies (like Google, Facebook, and Yahoo), who wanted to protect the privacy of deceased users from such disclosure without their consent and who pointed out that any disclosure without such consent violated federal law. 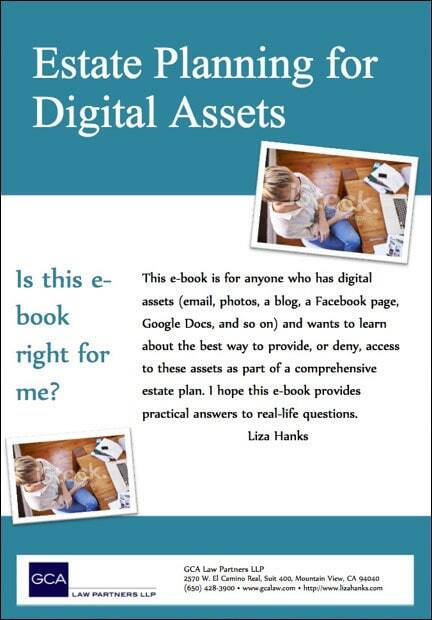 To read more about the legal issues involved and how content providers are (or aren’t) providing online tools to record your consent and to get a digital inventory form that you can use to catalog your digital assets and record your passwords and usernames, download an Ebook that I wrote, Estate Planning for Digital Assets, at my website, www.lizahanks.com . I’m thrilled to announce the release of my first in a series of e-books on estate planning that are designed to provide you with practical answers to real-life questions. 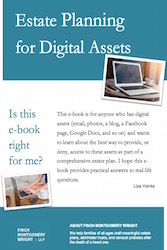 This one is on Estate Planning for Digital Assets, and you can download it for free from my website. 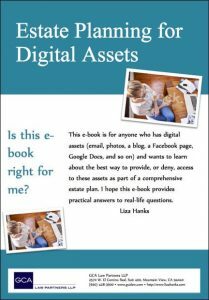 This e-book is for anyone who has digital assets (email, photos, a blog, a Facebook page, Google Docs , and so on) and wants to learn about the best way to provide, or deny, access to these assets as part of a comprehensive estate plan. It turns out that the traditional model of estate planning, which is to appoint someone to act for you after death, just doesn’t translate well to the digital realm, where terms of service contracts and federal law require an individual to provide consent before anyone else can access their digital assets. Google now allows users to determine what happens to their photos, emails, and documents when their account goes inactive. 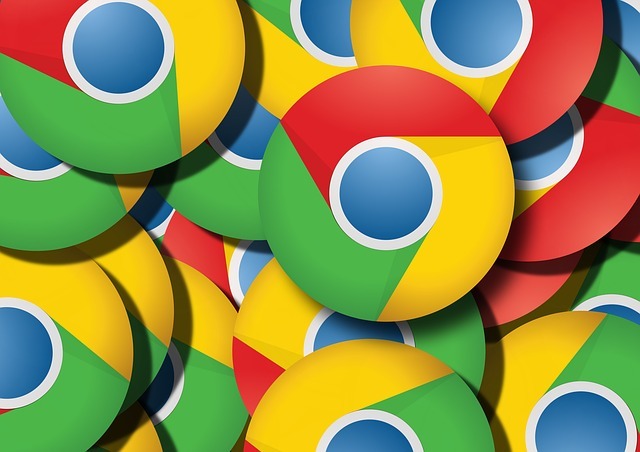 Users can set when their account should be considered inactive, what happens to the data at that point, and who should be notified by using Google’s Interactive Account Manager. For those who don’t set this up in advance (most people is my guess), Google also has a process for working with immediate family members or estate representatives to close online accounts after a user dies and, in some cases, to obtain data from a deceased user’s account. Google, here, has to balance users’ privacy concerns with the legitimate interests family members have in deleting accounts after someone’s died and to retreive photo, text, and other digital assets belonging to their loved ones. I think that their process, which requires that a family submit documents, and allows decisions to be made on a case-by-case basis, is a great first step in formalizing the way in which digital assets are protected after death.